Details behind the multi-million pound plans to renovate Trump Turnberry have been revealed for the first time as the project to substantially upgrade the world’s first ever golf resort takes shape. An extensive 18 month refurbishment programme is now underway and the resort will re-launch on 1 June 2016 when the redesigned Open Championship golf course, The Ailsa, will be available for play for the first time. 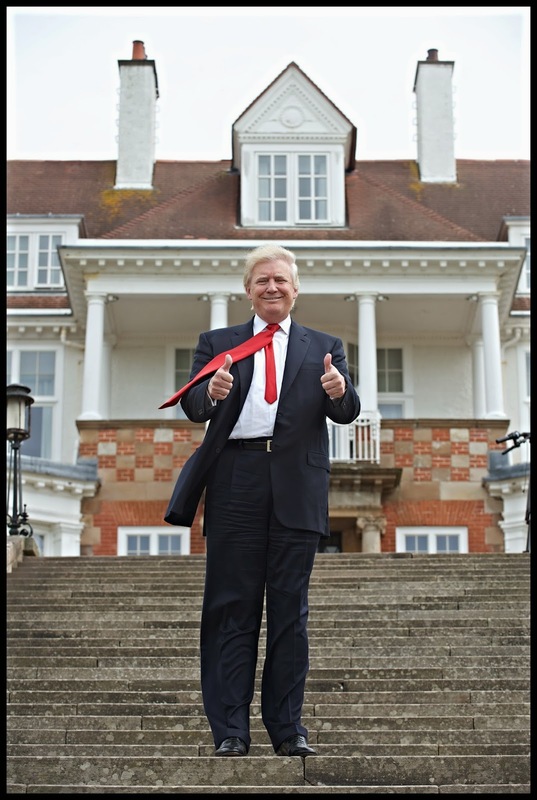 In May, Trump Turnberry hotel will re-open its doors following an extensive upgrade to world leading standards, which includes the lavish refurbishment of all hotel bedrooms. The detailed and sensitive project requires a partial closure commencing 27 September 2015 until mid to late May 2016 when improvements to the hotel and Ailsa course are carried out. During this time, the new club house, The Villas and golf academy will be open for business with tee times available to members and guests on the Kintyre, a challenging course which hosted the qualifying rounds for the Troon Open Championship in 2004. Detailing the changes, Mr Donald J. Trump, Chairman and President of The Trump Organization, commented; “In close consultation, we will be refining the great Ailsa Championship course including lengthening, re-grassing and making certain changes, many of which have been sought by the R&A for over 25 years. This work will be carefully and studiously crafted and when completed, will bring this already amazing masterpiece to a level that even it has never attained. • The creation of a new world class 18 hole pitch and putt in front of the hotel designed by the internationally renowned golf architect Martin Ebert. • The creation of a new Lobby bar featuring over 250 whiskies within the Grand Tea Lounge. • The launch of the refurbished clubhouse, pro shop with largely extended retail facility, The Duel in the Sun restaurant and a purpose built east facing viewing balcony in April 2015. • The creation of a luxurious two bedroomed suite and the Halfway House for the Ailsa course will be located within the iconic Turnberry Lighthouse. • The repositioning of 1906 restaurant to its original location from when the hotel opened. • The creation of a new Crystal Ballroom named in recognition of the six original crystal chandeliers which are a historic feature of the room. • Development of the new destination spa, The Trump Spa by Ivanka Trump. • The creation of a masterpiece, The Donald J Trump Ballroom, situated at the north elevation of the hotel facilitating 500 guests with panoramic sea views. • Extensive renovation of the self-catering Villas at Trump Turnberry and the creation of a new family centre will take place with work commencing in the winter of 2016 completing spring 2017. Meanwhile, works to complete the £5m refurbishment of the clubhouse continue as a priority in preparation for hosting the RICOH Women’s British Open which takes place at Trump Turnberry 30 July – 2 August 2015. The new clubhouse will open its doors in late April 2015, also in time for the summer golf season.